SSQ-6 is used to braze two pieces of cupre nickel together. A propane torch was used on the two pieces of copper nickel, one tube was flared so the other could be inserted for tight fit. Copper nickel or cupre nickel is a widely used alloy in the marine industry due to seawater corrosion resistance. Copper nickel is found extensively in boat hulls, heat exchangers, condensers, hydraulic lines, and piping as it also has a high resistance to biofouling. 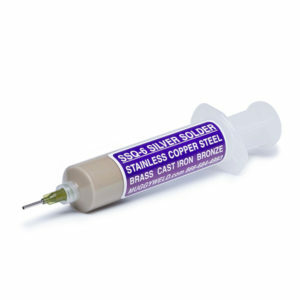 Copper nickel is commonly 95% copper and 5% nickel, 90/10 or 70/30 depending on the need.